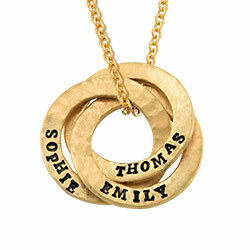 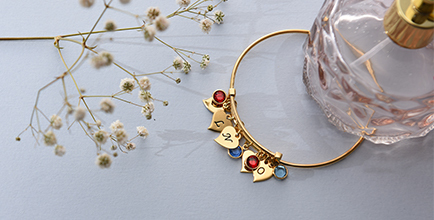 Stamped necklaces offer a truly unique, artisan-inspired look while complementing the wearer’s wardrobe beautifully. 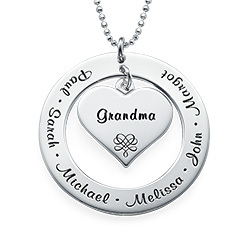 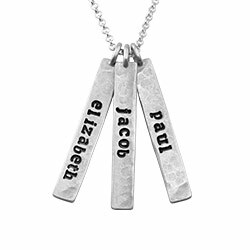 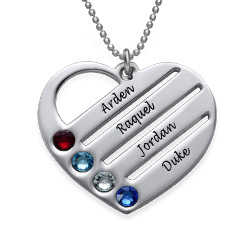 Our Stamped Family Pendant Necklace with Names Engraved in Silver celebrates the ones you love most, and it makes the ideal gift for mom, grandma, or anyone else on your list: You can even treat yourself! 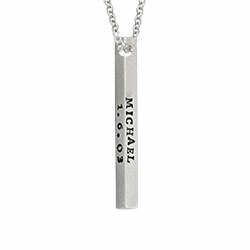 This beautifully expressive piece is crafted of sterling silver and is suspended from a 14"-22” rolo chain for a delicate look. 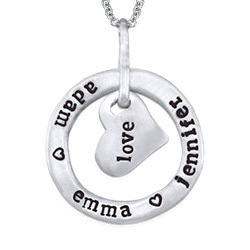 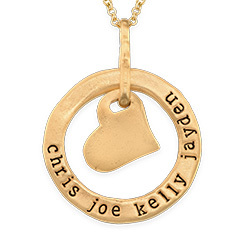 You can personalize the central disc of this hammered hand stamp necklace with up to two lines of text with five letters each. 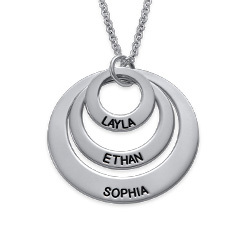 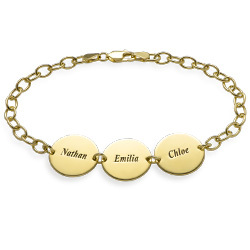 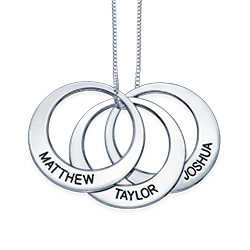 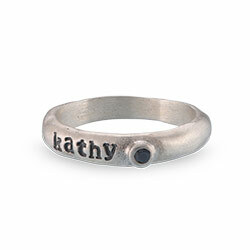 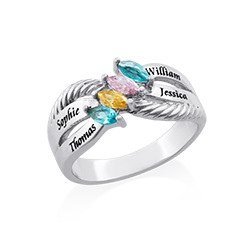 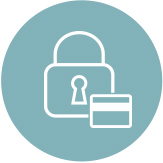 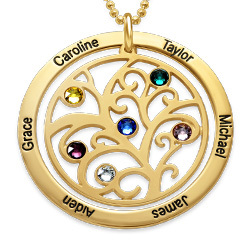 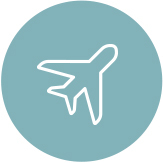 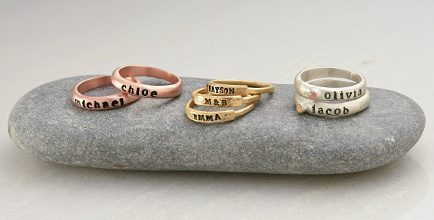 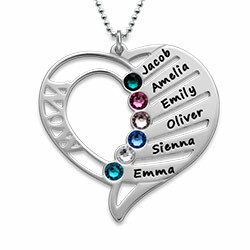 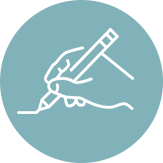 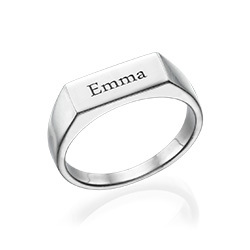 The outer disc has enough room for up to 20 characters for family names and more! 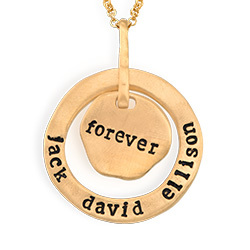 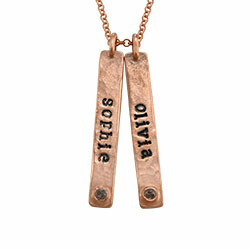 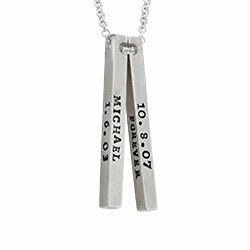 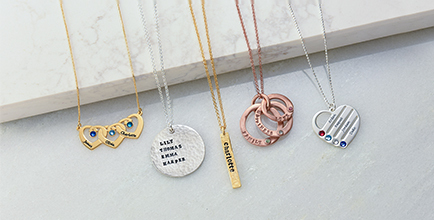 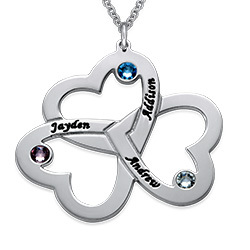 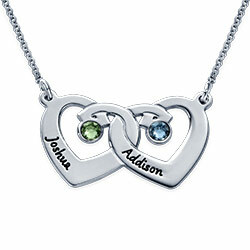 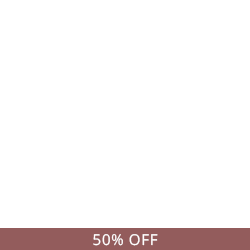 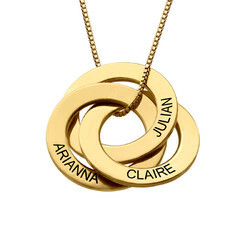 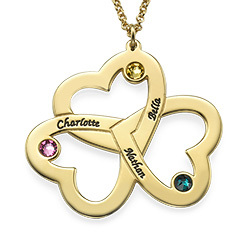 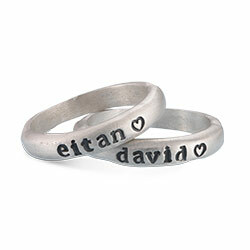 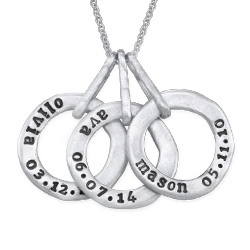 View our collection Stamped Necklaces for even more options.